The 4ZERO Cuff is the most advanced flexible polymer handcuff on the market and is used by select police and law enforcement agencies that demand the strongest and most durable product available. Now, the same material used to manufacture the 4ZERO Cuff is available from Micro Plastics, Inc. in the line of extremely durable 4ZERO Cable Ties designed to perform and hold their strength in extremely dry environments and in temperature extremes from -30 deg F to 400 deg F -- conditions that can leave normal nylon cable ties brittle and broken. Available sizes include: 8 in. (50 lb), 14 1/2 in. (50 lb), 11 in. (120 lb), and 22 in. (200 lb). What's new in ANSYS Spaceclaim 2016? Protogami’s three-dimensional flexagons create a continual kaleidocycle that exposes a different set of triangular faces with each turn of its living hinges. It lets product designers and engineers see commonly used materials like ABS, PC and acetal, and how they interact with different surface finishes. A new Sandia National Laboratories accelerator called Thor is expected to be 40 times more efficient than Sandia's Z machine, the world's largest and most powerful pulsed-power accelerator, in generating pressures to study materials under extreme conditions. 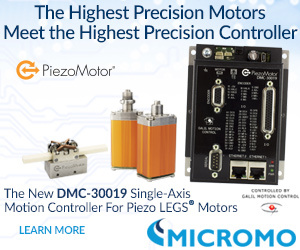 Learn more about this piezo motor technology. When developing parts for plastic injection molding, applying draft (or a taper) to the faces of the part is critical to improving the moldability of your part. Without it, parts may bend, break, or warp, suffer poor cosmetic finishes, or be damaged when ejected. Gus Breiland, customer service engineering manager, Proto Labs, runs through the dos and don'ts when it comes to this critical design element. Researchers have always thought that flat, ultrathin optical lenses for cameras or other devices were impossible, but University of Utah electrical and computer engineering professor Rajesh Menon and his team have changed all that. Paper-thin eyeglass lenses, here we come! A French textile and rubber company has put snow chains on the market in Europe that have chain links made entirely of plastic. The chains use Elastollan, the thermoplastic polyurethane (TPU) from BASF. Although there are already a slew of different plastic chain sets on the market in the United States and abroad, what differentiates this technology is the materials incorporated and the molding technique used to put the chains together. 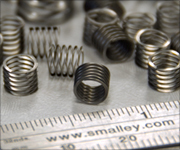 Can wave springs be used to replace coil springs? Can they be compressed flat for extended periods? And how does spring performance change over time in a static application? Engineering experts at Smalley answer these important user questions. Silcotech and Dow Corning have teamed up to create an exciting new capability for liquid silicone rubber (LSR) processing: producing single parts that feature multiple materials that can vary in durometer, texture, and color. Four new additions to Honeywell’s line of magnetoresistive technologies feature highly sensitive sensor integrated circuits (ICs) that offer design engineers more flexibility for creating a range of industrial, medical, and white goods devices. The Standard Power Series offers a sensitivity of 11 Gauss max -- among the most highly sensitive in their class for standard power applications. This allows for design with larger air gaps between the sensor IC and the magnet or for the design engineers to decrease the total cost of their designs by using smaller, less expensive magnets. These sensors also feature a solid-state, non-contact, no-glass design that makes them durable and reliable. Potential applications include everything from flow sensing in HVAC and anti-tamper detection in utility meters, to RPM sensing in exercise equipment and door position detection. Uncontrolled static discharges may negatively affect electronic components, can hinder production processes, or even contribute to fire risk. 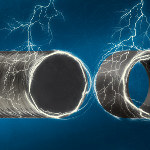 In applications where ESD properties are required, the self-lubricating iglide F2 EDS bearing material is a great choice because it contributes to continuous active discharge of electrostatic charges. igus offers this material in 14 bearing diameters, as well as machinable bar stock. The low surface resistance reduces the charging voltage level and contributes to the depletion of the charge. 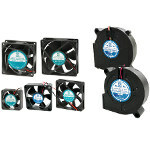 Orion Fans has expanded its DC fan and blower product listing to offer a viable, long-term source for customers when their current source obsoletes a fan or blower product. Orion has introduced 52 new DC fans and 4 new DC blowers. The additions to the DC fan and blower families include a wide range of package size, speed (RPM), airflow (CFM), and special-function combinations. Fan sizes include 25 mm, 30 mm, 35 mm, 40 mm, 50 mm, 80 mm, 92 mm, and 120 mm. New blower frame sizes include 51 mm x 15 mm and 60 mm x 15 mm. 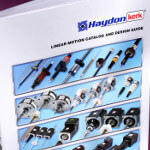 Haydon Kerk Motion Solutions, a brand of AMETEK Precision Motion Control, has just released its new Catalog and Design Guide, revised for 2016. The catalog has been updated and expanded with new product sections, including the WGS06 linear rail, the brushless IDEA servo motor controllers, Size 8 double-stack 21000 linear actuators, ZBM micro screw nuts, and 15-mm external linear Can-Stack actuators. The new 260+ page resource illustrates a wide range of products engineered for use as building blocks in sophisticated linear motion assemblies. 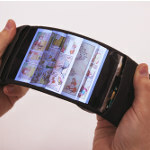 Researchers at Queen’s University’s Human Media Lab in Ontario, Canada, have developed ReFlex, the world’s first full-color, high-resolution, and wireless flexible smartphone that combines multi-touch technology with bend input. SpaceClaim 2016 delivers 10 times-faster 3D modeling than any other tool on the market. Its developers have improved a variety of workflows and tools, helping you get your designs and ideas to market faster than ever. You'll see efficiency gains from start to finish. 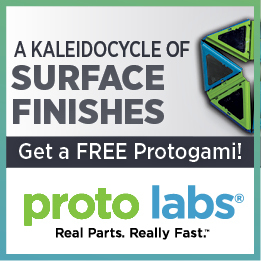 Learn about new and improved functionality for reverse engineering, 3D printing, general design tools, CAE, and more.